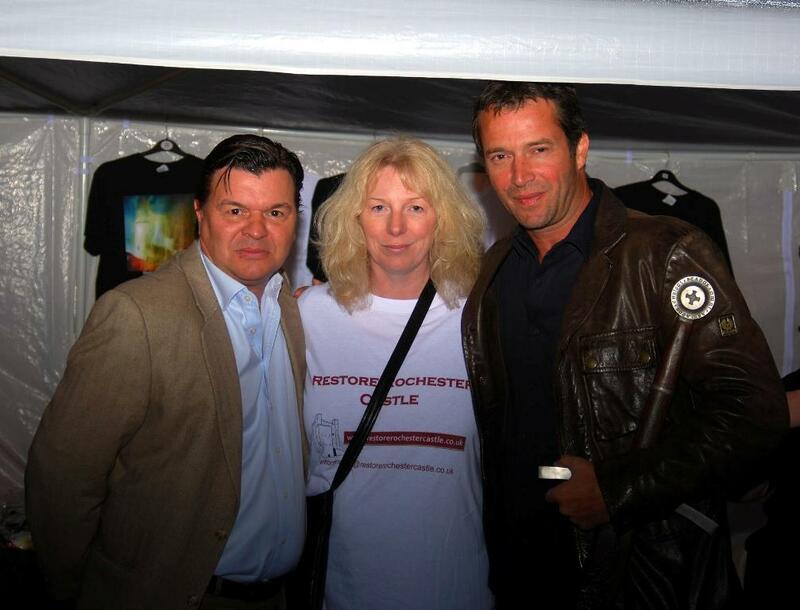 Meeting Ironclad stars, James Purefoy *swoon* and Jamie Foreman! As an Associate Member of the Restore Rochester Castle committee and Community Publisher for Rochester People, it was my job (yes, it was tough. Very) to interview the astoundingly smoulderingly handsome personage that is James Purefoy (Rome, Solomon Kane, Injustice – I could go on) and the soon-to-be-the-most-feared-hard-man ever to grace EastEnders, Jamie Foreman (Layer Cake, Nil By Mouth and countless more!) Who was so sweet and lovely he’s completely ruined what Derek Branning could ever be for me! They were guests of honour at a special screening of Ironclad at Rochester Castle on Saturday night, and did a fantastic job helping us fundraise. Click their names to see the interviews. The film was fantastic (considering my limit for violence is Indiana Jones) and with the weight of history and a terrific ensemble cast (it’s been likened to The Magnificent Seven, only with more blood) the story rose above the carnage to give us a snapshot of what it must have been like (some liberties were taken, to be fair) in that space, at that time. For the low down of the screening on Saturday night, see here, and view the smouldering galleries here. I’m only surprised the camera didn’t melt. Recycle your phone to the Aspinall Foundation! Please. If you don’t mind. Hey! Is it Ok if I ask anything kinda off subject? I am trying to view this weblog page with my Samsung Galaxy S but it wont display correctly, do you get any suggestions about this issue? Will i need to have an update for my software program or something? lots of thanks!